We've been married for 18 years now! It doesn't seem like such a long time. In fact, it's gone by much too quickly. 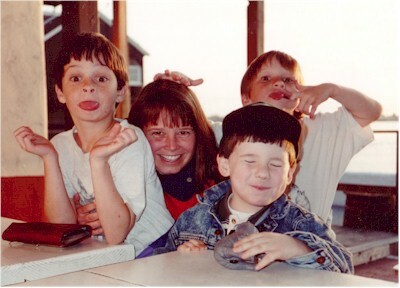 Here's a nice photo of Susan with Matt, Scott, and their cousin Nick.